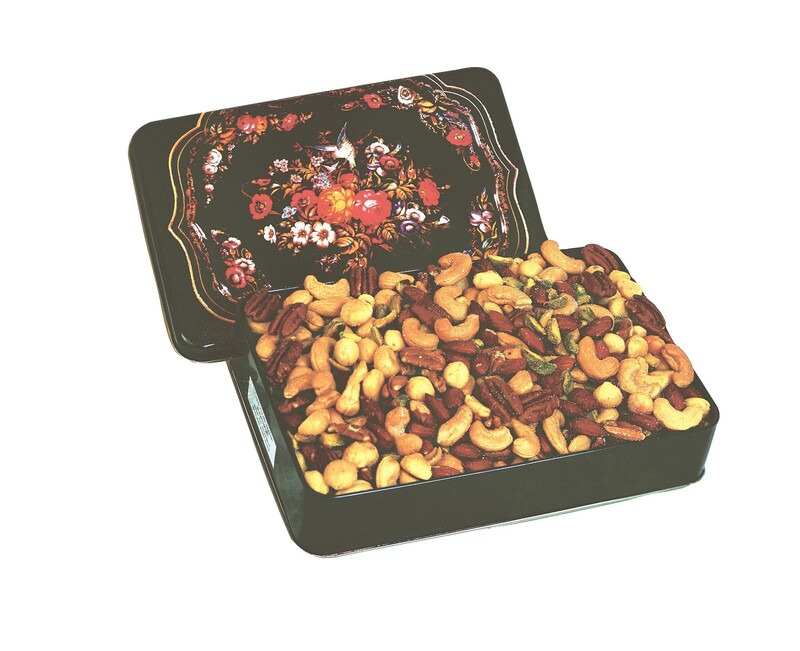 We are famous for our freshly roasted Supreme Mixed Nuts. We have been producing these traditional nut mixture for the past 63 years. The mixture is loved by a large crowd of our customers who order them year in and year out. We carefully roast the large Amazon cashews. We add the larges almonds we can buy from premium orchards worldwide. We use the mammoth Western Scheley pecans. Then we combine the exotic roasted Brazil Nut and the freshly roasted hazelnut to this gourmet mixture. All of these are lightly salted for s perfect taste. 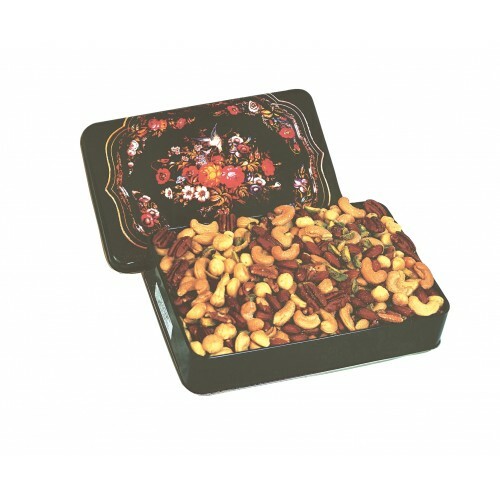 Then we carefully package 3 pounds of these Supreme Mixed Nuts in a very decorative tin.